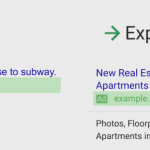 Ad Suggestions by Google in AdWords - eBiz ROI, Inc.
One of the most important tasks of running a successful search campaign in AdWords is to write effective ad copy. You want your text ads to be informative, efficient, and presentable. When a customer makes a search, your ad should provide an answer to their question. Often, the ad that best seems to meet a user’s need is the one that gets clicked on. But knowing what to put in your ad copy can sometimes be a little tricky. 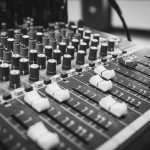 What phrase or word is the key to getting that click, and then a potential customer? 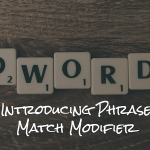 If you would like some help on writing better ad copy, you may soon be in luck. Enter Ad Suggestions. Google recently unveiled “Ad Suggestions” for AdWords, its pay-per-click advertising service. These suggestions take ads that you’ve already created and automatically create and optimize variations for you. How does this work? And how could it be of use to your account? Let’s have a look. Google’s research has shown that ad groups with three or more high quality ads far outperform their counterparts with only one. This can translate to up to 5 – 15% more clicks and conversions, providing ad rotation has been optimized! Theoretically, the more ads you make, the more specific you can tailor your message to any user’s search. Ad suggestions, generated by Google, take this idea to its logical conclusion. Based on information provided on your landing page and in ads you’ve written yourself, Google will create optimized ads for your campaigns. Before they will begin to show, these generated ads will appear in your “recommendations” tab, for you to review. There, they may be applied, editted, or dismissed. Note: if they are marked “auto-apply” in your settings, then they will begin circulation after 14 days. Suggestions will be limited to no more than 50 ads per week, per account. It is unlikely you will ever see that many however. This program only targets ad groups that show a need for increased performance. Note: Any account, no matter the language used, can opt out of ad suggestions if they aren’t your thing. Because ad suggestions automatically can automatically be applied if you leave them alone for 14 days, Google has myriad ways of notifying you about it. You can receive emails letting you know when new ads are being created for you. 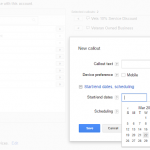 In AdWords, the small bell icon for notifications will tell you when they’re about to be applied. Your recommendations page, where you’ll find the ads, invites you to apply or dismiss the suggestions when you visit. And finally, any ads that are auto applied will carry a tag identifying them as such. This should enable you to pick them out and edit or delete them if they aren’t to your liking. There are some exceptions which could keep your ad group from being eligible for ad suggestions. If any of your ads in the ad group have limited approval or have been stricken by Google, ad suggestions won’t generate for that ad group. This could include ads for things like gambling, alcoholic products, and so on. So if you’re in those businesses or unsure, keep an eye out for that. Ad suggestions can be a great tool for advertisers. They can help you save time by generating ads for you. They can also optimize your ads for you, for no additional charge. Remember to keep your ad groups filled with at least three high quality ads. This is a best practice whether or not you want to participate in this new program. 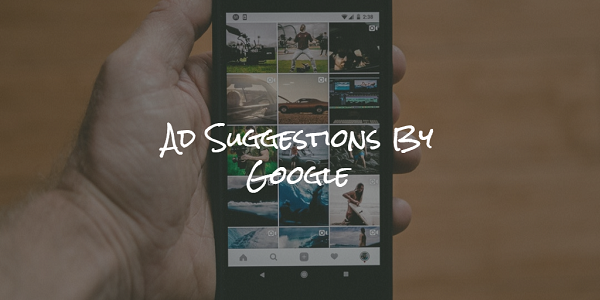 If you decide to give ad suggestions a whirl, keep an eye on your recommendations page! You have a chance to apply, edit, or delete the suggestions before they are applied automatically. 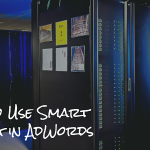 Take advantage of these and other automated systems and let AdWords help run itself for you.